“This is a very exciting moment for us because it’s the first European diplomatic mission opened in Jerusalem in many decades, and three Hungarian diplomats are going to be assigned to this office for trade purposes,” said Israeli Prime Minister Benjamin Netanyahu. Israeli Prime Minister Benjamin Netanyahu with Hungarian Foreign Minister Peter Szijjarto in Jerusalem on March 19, 2019. Credit: Amos Ben-Gershom/GPO. 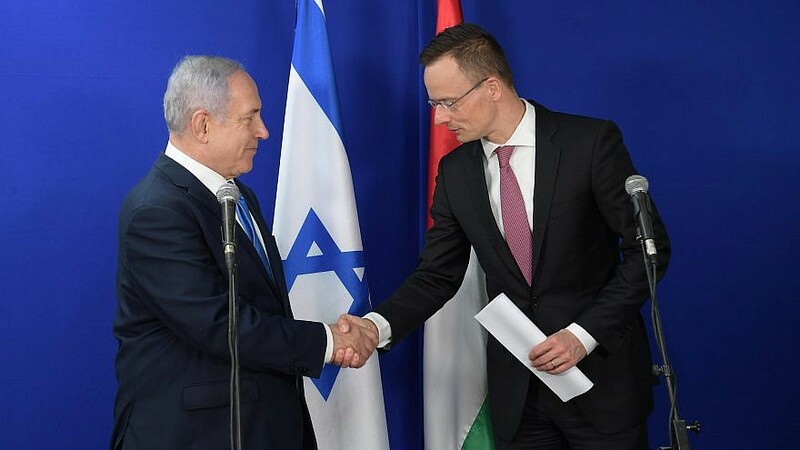 (March 19, 2019 / JNS) Hungary opened a diplomatic trade mission in Jerusalem on Tuesday, demonstrating close ties with Israel and becoming the first European country in decades to do so, according to Israeli Prime Minister Benjamin Netanyahu, who, along with Hungarian Foreign Minister Peter Szijjarto participated in the ribbon-cutting ceremony and unveiled the building’s plaque.